There is nothing more comforting than a posh hotdog. 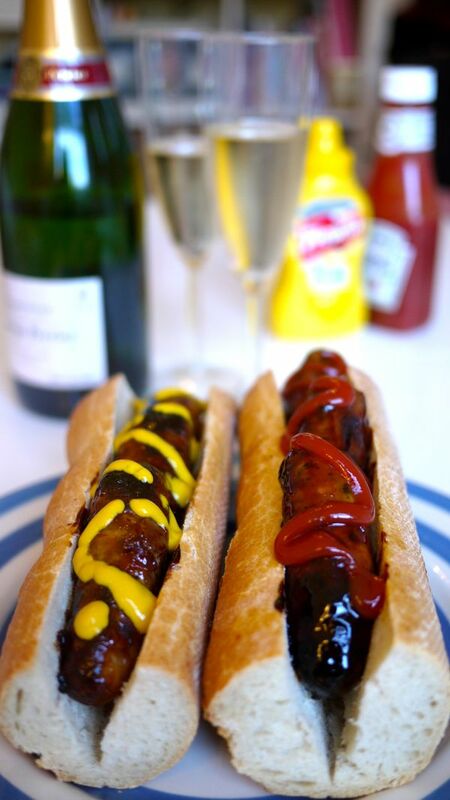 Except maybe a posh hotdog slathered in a salty, sweet, Autumnal, gooey sauce, served with a cold glass of bubbly. Oh god yes. This really isn’t a recipe, it’s far too easy. It’s just another way to cook sausages and a little cosy dinner inspiration. 1 chilled bottle of bubbly. Preheat your oven to 180C / 350F. 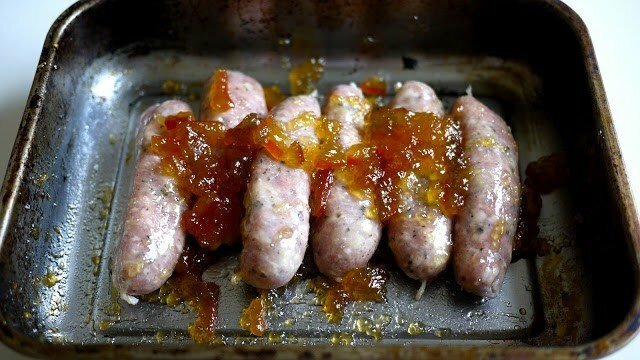 Smother marmalade all over your sausages. 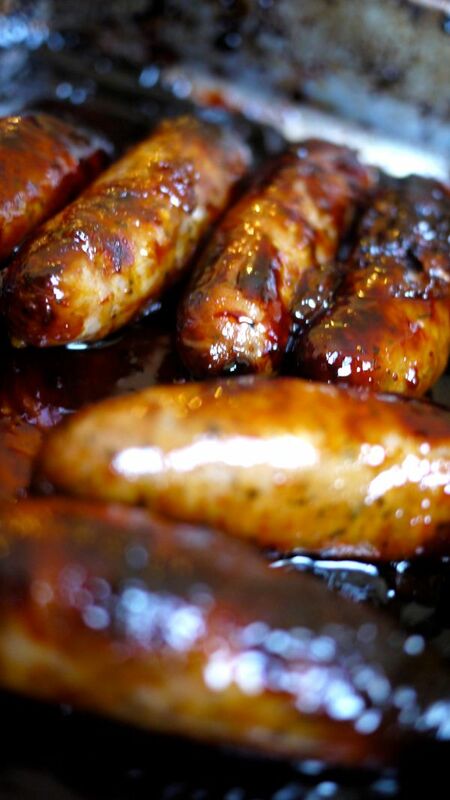 Shake them around the pan, ensuring they’re totally covered in their dark, sticky varnish. Slice open your bread and fill it to the brim with sticky salty sausagey goodness. 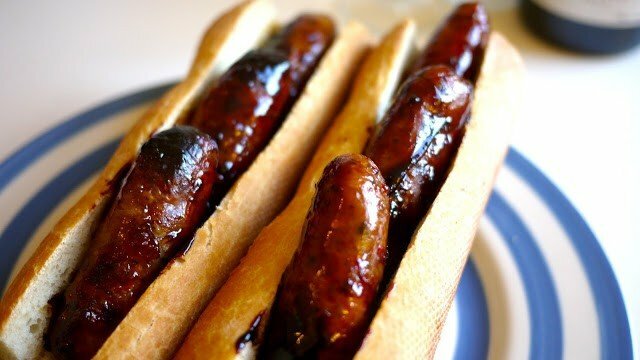 You don’t have to like marmalade to love these sausages, it doesn’t taste like marmalade once it’s cooked. It just tastes like a salty, porky, orangey glaze which coats the bread of your hotdog like black butter. Satisfaction guaranteed. .